Sub Pop Records celebrates its 25th anniversary with the Silver Jubilee Festival this weekend, and to kick off the whole thing, the label took its message to the skies over Seattle. With the help of radio station KEXP, the label trucked two of its acts—Sera Cahoone and Mudhoney—to the top of the city’s iconic Space Needle for a live show. While the capacity was understandably a little limited, the performances were rockin’ all the same and, luckily, captured on video. 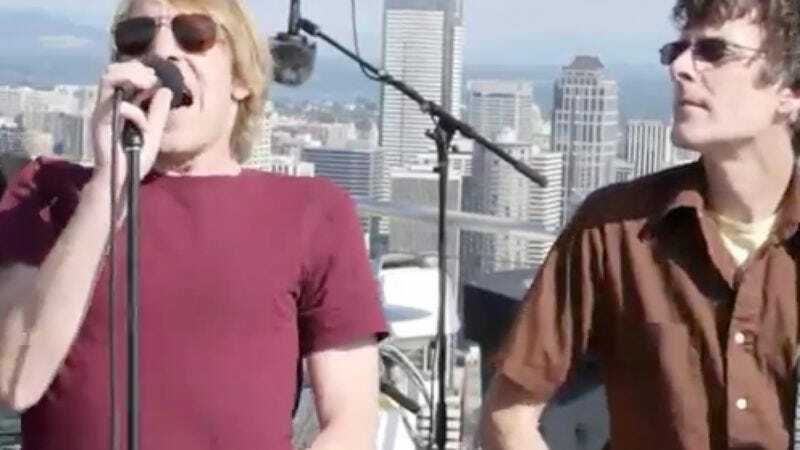 Watch Mudhoney rock the outdoors below, and if you’re in Seattle, attend the Silver Jubilee Festival this Saturday.